i write. I dance. I play. i eat healthy chocolate all day. I am a clever girl with a strong will and a high temper. 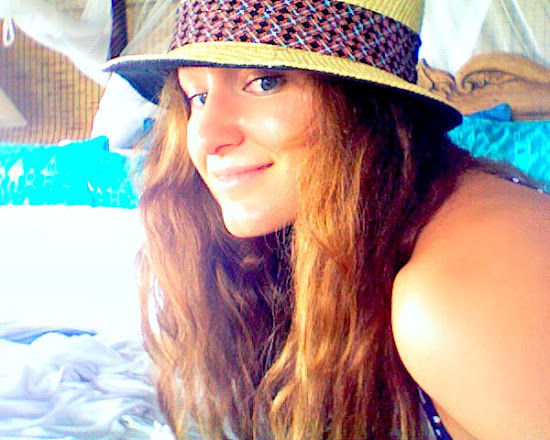 Coco J. Ginger is a freelance writer based out of Phoenix, AZ. For job enquiries please email: cocojginger1@gmail.com. Wow, I love the quote above! I love the Chuck Palahniuk quote. He also says, “I don’t want to die without any scars,” which isn’t just about his book, FIGHT CLUB. Life is about taking risks and sometimes going all out, even if it results in some scars. Whats your favorite palahnuik book? I haven’t read any out in the last three years I think… but i used to be quite obsessed. I actually haven’t read any yet, they are all on my “to-read” list. 🙂 I’m super obsessed with his quotes from all of his books. Which is your favorite? I nominated you for Kreativ Blogger! Brandon, again, thanks so much ;] so do i need to nominate others if I win, or just since I’m nominated? Just because you were nominated. And Jamie, you better not slouch on those little known facts. I know ya have it in ya, haha. I enjoy poking around here – hope i don’t annoy you by following! Hello, Jamie! I nominate you for Beautiful Blogger Award. If you accept the award, please visit: http://subhanzein.wordpress.com/2012/04/01/awards-galore-2-0/ and you can nominate some other bloggers for the award. Congratz again, and let’s spread the joy! Thanks for your like and follow. Appreciate it. Started to read through your site and will continue tomorrow. Wow the last para so felt like me !! Ditto !! Glad to have found you and thanks a lot for your lovely wishes at My Dear U 🙂 Helped me find you here !! Thanks so much ! Let the World tell us, or decide for ourselves. It has to be, decide. Only those too crushed by the World do not choose this. More and more people choose this. nice to meet you…you are quite awesome. your writing skills are type dope, I must admit. Also I dig you blog name. Courting Madness…the ish is just hot. Thanks for the following and liking my post, Candle Vendor. Love your blog…. It takes a certain kind of courage to be as honest as you are in your writing. And it’s very nice to meet you through it. I appreciate it, and you as well. 🙂 CHEERS! thanks for following my blog.Nice one you’ve got here too. the way you express your thoughts…plain and shadowy at once. Coco, thank you for visiting my site and deciding to follow along. Being responsible *is* freeing, and seems to be the place where joy starts. awe yes, i like that. thank you for sharing. Love your posts – great stuff! Hey, thanks for reading and following my blog. Look forward to checking yours out. I like your unattributed quote about personal choice and moral responsibility. I’m curious: how far do you think our moral responsibility extends? For instance, if I buy a product from a company that mistreats its employees, how much responsibility do I have there? Coco, thanks for stopping by my writing blog–and thanks for sharing that quote about inventing something better! Nicely said. Looking forward to reading more! I too thank you for that quote and about!! that is an amazing poem. i usually run away from poetry, but then again, i love music so i guess i don’t. love it. thanks for posting. Thanks for liking my post and following my blog! I’ll be sure to check out yours! I look forward to reading your blog! It looks wonderful! Thank you for the follow! Hi Coco 🙂 Thanks so much for following my blog, Blood Petals and for the like on my poem. Hi, Coco! Welcome to the DiabeticRedemption.com family of readers. I’m glad you’ve joined us. If you’d like, please find my Friends Page, and tell me and my readers a little about yourself and your blog, and please be sure to add the URL. Again, welcome! I can’t wait to hear what you have to say! Hey thanks for dropping by my blog. I’m having fun exploring yours! Thank you for liking and following me Coco … Stay free! I must say, you have a great blog going on here. Your work has a very strong quality of the spoken word. I have read through some of your articles, and simply love them. You have an eye for quotes too! That said, i will be back for more reading. Thank you so much. Really appreciate hearing that. CHEERS friend! Thanks for u r kindness to following n like in my blog … and i follow u back. You have a great blog …. Nice to meet you Coco. Thanks for following. Interesting thing you have going here. I am looking forward to reading more! Hi Coco. Thanks for visiting thefirstgates and following. I’ve just started to explore here and look forward to continuing. Hello! are we related? : ) I I so love your about and your belief system mirroes my own that I must be your long lost relative. I really love the name: Coco J. Ginger. It tends to linger with me for a while every time I see it. I love your writing too! Cool Ginger, firstly, what a cool name. I should add ginger somewhere to mine. I am officially a follower of yours, don’t lead me astray. I love your site here–very well done! A wonderfully creative blog. Thanks for stopping by The Noontimes – it gave me the opportunity to discover your work! A very interesting philosophy and blog. You are very prolific in your posts. I like you dedication to your writing. awe thank you Mr. Baker, I really appreciate that. Yes I am quite obsessed. Thank you for being a new follower and for liking my post, “Honda to the Rescue.” I will be checking out your posts as well and I like your above intro. Thank you for following my blog. I’ve read some of your posts and they are intriguing! Thanks for the Like and the Follow! Love your wild writing- just what I need. I think too much when I write. That final quote- is that yours or also Pahlaniuk? Awesome! Thanks for checking out my blog! I am enjoying yours very much! Thank you for visiting my little corner of the internet! I am always so curious on how people find my blog, so I am asking how did you find me? Whether it is joy, pain, loss, or love that motivates your writings — I hope you continue on your path! Just dropping by to let you know that I nominated you for a Kreativ Blogger Award! I am loving your blog! You definitely deserve all the nominations people have been giving you. Keep it up. I’ll be dropping by regularly on your blog! anything that makes my mind tick…..your blog is great. Thanks for following my blog, now following back. Yum to healthy chocolates all day! Thanks for the follow, love the quotes you put up! you’re sweet. I like your writing. Wow! Now I’m curving my lips. Hahaha. And I don’t know how to take this smile off anymore. LOL. Thanks for following, Coco – looking forward to reading more of your work. Loving the style so far! Thanks for following my blog Coco, I hope you will keep visiting! Looking forward to exploring your blog too! I realize the quotation with your About page. Your are great Coco, I love your living style and nice blog. Cheers! Thanks for the like and signing up. Love your name! thanks for the visit… enjoyed looking at your blog. Don’t forget to feed the fish. I really like your philosophy, Coco! Thank you so much for visiting my blog! Thanks for the follow, Coco. Done same. Thanks Coco for following my blog Agnes, Yves’ Girlfriend. It looks like we have the writing and chocolate in common. Sometimes I can’t write without the chocolate. Hey Coco, I love your little poems, and I’ve nominated you for the Kreativ Blogger award. Thanks for stopping by the 69 Love Stories Project. I just read through the work on your main page and it looks great; you really have a command of these short, direct pieces. I look forward to swinging by again. Thanks for stopping by. I adore your blog. Very honest and solid writing. nice to meet you Coco. i like all you say. freedom to be yourself and be able to set your own guidelines! Hi Coco! I enjoyed reading your candid thoughts! Especially where you state, “I am free because I know that I alone am morally responsible for everything I do.” I noticed that you’re now following my blog, thanks for doing so! I don’t get the opportunity to write as much as I’d like. However when I do, I try and make it meaningful for thost that take the time to read my musings! Hey Coco, noticed your name and face popping up on my blog recently, so nice to see you there and glad you are enjoying reading my poetry and other bits of writing. Great to have you following too. I have been having a look around and really like your style so I think I might just keep coming back to see what you are up to! Thanks again. thanks friend, and you as well. cheers! Hi, Coco! Thanks for the like and the follow! I’m looking forward to checking our your blog, too! Nice blog. You’re a writer, what do you write? Hello CoCo J., thanks for stopping by my blog and the like and follow. Some interesting things going on here on your blog. Looking forward to more. Hi Coco, Chuck P. was the keynote speaker a couple of years ago at a The Grub Street Writers conference in Boston. He is equally as inspiring in person as in print. Nice to know we have common ground right off the bat. Thanks for taking the time to read and follow my blog. I will catch up with some of your posts later today. blessing to you. Beth from Middlescapes.com. Hey thanks for sharing Beth. Chuck P. is one of my ALL TIME favorites. I think he is brilliant, and love his writing style. I would love to see him speak in person. CHEERS! Hi 🙂 Thank you for dropping in. Looking forward to reading more of your posts. thanks for the like coco. will be keeping an eyes on your posts. Hey Coco J, thank you for finding lollipops and razorblades, liking it and following. It means a lot when people are actually reading the crazy madness. Looking forward to reading your blog. I absolutely love the fact that you “eat healthy chocolate”! Thank you for sharing your words and ideas with us. I nominate you for Very Inspiring Blogger Award. Details are here: http://subhanzein.wordpress.com/2012/05/30/awards-galore-3-0/. Ooh I really love the writing on your blog! Always liked Heinlein as a writer. Just poking around a bit. Thanks for stopping by my blog. You sound like the heroine of my novel, Welsey Shaw. You could almost be her. Thanks for following my blog. I love the post. I think you’re awesome just for the Heinlein quote. I’ll come up with several other reasons later. Well, not a lot of women even know who he is. I believe that’s some of the best wisdom we’ll ever get in this life. I heard it a few years ago and it is one of the few axioms that’s been steadfast and true through these crazy years. Thanks for joining my list of subscribers; in return, I’ll subscribe to you! Thanks for the attention paid to my posts, I’d love to hear what you think about what you’ve read. I’ve got you bookmarked for a closer read once I get a moment. I look forward to that closer look. HI Coco! You’ve been a consistent visitor to my Romantic Bones, thank you so much. I love the quote you post here, so true of the world and the people balancing on the ring around it. Keep gracing the world with your artistic tongue. healthy chocolate…hmmm…I love it, too! Thanks for stopping by and following my blog. I’m going to look around yours some more, if you don’t mind. Hello Coco – glad you enjoyed my witterings – I look forward ot following your work. Best wishes. Well hello Coco from Daysifter! Thanks for following me! I shall now follow you too just for the honor, though I may at times attempt to lead. Ok? Thank you so much for following Petting Unicorns! You seriously have one of the best names ever! Cheers!! Thanks for the Like on Designer Espresso at italyin30seconds! That is a very tasty quote sandwich. Thank you for stopping by my blog and reading “I Can’t Believe I Wrote This!” Thanks for following too. Hopefully, there will be more things you like. I’m kind of dying to know more about you. I love your writing. Sie sind zu nett 🙂 Hope we can talk more. Thanks for noticing my blog – I have now noticed yours – yeeha! Hi Coco – Thanks for the like on my inspirational post and for following my blog. Love your hat and your writing. Keep it up! Seeing blogs such as yours inspires me to do better. Thanks for following my blog, Stock Photo Girl. I was beginning to think people had lost interest in her. Wish I could “eat chocolate all day”. Thanks for liking and following my blog. It’s a pleasure meeting fellow writers, so I’m now following your blog. A great site. Happy writing! will definitely repost some of your perspectives soon! Coco you are a clever girl. I like the way you tick and wind. Thank you for brushing past me tonight in silent appreciation. Thanks for liking my excerpt from my novel, for tomorrow just for the day its going out on Amazon Kindle as a Freebie if you want to garb a copy. I hope you like it. Any feedback would be greatly appreciated I would be ahppy to link to you blog if you want to link to mine, but I’m not sure how to do it. Thank you for visiting my blog and for opting to follow my work! Feel invited to read and critique as you wish. I’ll return the favor as well. Thanks for stopping by! I LOVE the quotes you posted above..can’t wait to know you more! Thanks for dropping by and leading me to your amazing post–you have lovely quotes oozing with flavor, depth and beauty–simply irresistible! Ah, Heinlein. I happen to be reading The Moon is Harsh Mistress at the moment. Loving it. Oh, to be able to write like that… Dreams. Hi Coco! Thanks for liking my most recent post, “Aroustiday Stoop Sip” http://achilliad.wordpress.com/2012/06/01/aroustiday-stoop-sip/ I am humbled with appreciation. Thanks for following my blog. I hope you find it insightful, interesting and interesting. Hi Coco. Thanks for visiting thefirstgates and liking a post. Please stop by again. I love the nuggets of insight you provide on your blog! Thanks for following Cancer Hits the Streets! Thanks for liking my recent post, and for following. I am looking forward to checking your stuff out. Take good care, and please stay in touch. HI. Thanks for you following me. Great site you have and I like the quote! Thanks for stopping by my blog, so that I could find yours! thanks for liking my last post-Its always nice to find a talented writer has stopped by! You got me at “healthy chocolate!” Thanks for stopping by. You make my efforts at blogging look like child’s play. . . . . no. . . . you are a great inspiration! hey that’s not true… you’re great, keep it up. CHEERS! That’s kind of you. Thanks. Thank you again for visitng my blog. Hi Coco. Thanks for liking a post on thefirstgates. I like what you are doing here as well. Thank you for dropping by to read my poems. I’m looking forward to reading more of yours, in quiet moments, with a glass of homemade wine. Thanks for the like and follow. I look forward to getting to “know” you and to exploring your writing! Also, I’m now reading through your blog and loving it! Hi there Coco! Thanks for the follow on my blog! Yours looks pretty interesting too! I think you just picked up a new follower as well. Thanks for liking and following simonsworlds13, CocoGinger. I don’t know who the hell you are but you write like a goddamn champ. I’m going to call you “coces”, pronounce it like “cokes”, and also going to read all of your stuff. Deal with it. Also thanks for checking me out. I don’t speak German but Google did the trick – and it put a smile on my face! Glad you found grace/joy/inspiration/light/something in my blog! Thank you for checking out my blog! Many blessings to you. I am looking forward to reading your blog. Thanks for taking a look at and following Shadows! Thank you so much for liking and following my blog. I am glad to now know about yours, and I look forward to reading more. thank you for the attention and like and follow! I’ve only been viewing your blog for a little while but I’ve nominated you for the Versatile Blogger Award: http://thejottersjoint.wordpress.com/2012/06/08/accepting-praise-recognition/. Hi Coco. Thanks for visiting @Bookfinda and liking a post. Hope you stop by again. More over 🙂 Thanks for following @Bookfinda. Looking forward to reading your blog! thank you so much for liking my announcement about the new ebook. please, let me know if you have any questions or concerns. cheers and thank you again! As a thank you for following my blog, I’d like to pass on the Tell Me About Yourself Award. The details can be found at: http://wp.me/p2jXpU-fc I’m looking forward to reading more from you! Thanks for stopping by my blog, taking the time to read, and taking the time to like my post. Thanks for the opportunity to follow you. Whauw, you have some amazing quotes. Thx a lot for stopping bye and to read my blog. Can’t wait to read more from you. Thx again. Like Naomi, I also want to thank you for stopping by my blog site again. I look forward to reading your work here more thoroughly and will do so soon. In the meantime, happy postings to you! Hi, Coco. Glad you enjoyed my post. Look forward to reading more of your blog! Dear Coco, Glad to find someone else in cyberspace who is using the Oulipo theme and doing so well with it. The original Oulipoiens were devoted to la littérature potentielle. We too? Best, Wm. I’ve given you the Sunshine Award! Please visit http://southern-wild.com/2012/06/10/the-wonderful-sunshine-award/ to see your nomination and provisions of this award! Thank you! Thanks for following my blog Coco. thanks for following my blog. your writing is also awesome ! Awesome quotes and thoughts. Look forward to reading more. Coco. How can you possibly find any free time when you follow so many blogs. Mine, especially, is a waste of your vivid talent. But I’m grateful you took time to acknowledge my pitiful ramblings. it broadens my mind. plus i don’t have any friends 😉 + i like your blog. Thanks for following my blog Coco. Love your spirit. Hey… very nice quotations !! Thanks for following me at http://seomentoring.me and it’s great to be following you too! Thanks so much for the LIKE! LOVE your blog and looking forward to following you! A few people have liked my ‘editing’ post. As a writer – or non-writing writer – I’m always interested in what people enjoy in my articles. Do you have anything you’d like to see on my blog? I shall also endeavour to follow your creative output from now on. Us writerly folk need to stick together! I am glad that we can agree upon this point. That be well good and everything. Thank you for the follow, I love your blog, love your insight! Looking forward to reading more from you! Thanks so much for the follow! Lovely space you have here—so much wisdom in your prose. Looking forward to reading more! Thank you for the positive response. I have to say that I have absolutely fallen for your blog. It’s got a radiating attitude that comes with softness and sensibility. Amazing. I look forward to checking back in the near future. Your grasp of language added to your pure skill with the quill makes your follow all the more meaningful. Thank you for the glimpse into your fascinating view on the world, I look forward to reading more. Such a compliment. Thank you C. David! Thank you for coming by my blog and following. You write very well and I will return to read and contemplate your ideas. Fab site and fab About. You have a perfect sensibility. Ever read “Pygmy”? oh, it is fun. i don’t read books too often, got a short attention span, but i read over 100 pages of Pygmy and loved it. still got it in my room and will go back to it some time. Thanks for visiting my blog. I am just getting it off the ground. I am more of a reader rather than a writer, but I hope there will be something of interest to you! I just posted more books suggestions for upper elementary aged kids http://theroommom.wordpress.com/2012/06/13/style-alikes/! Aha! So here I am! I was in the middle of tweaking things on my blog when the orange notification thing light up. *curious.. Thanks for visiting my blog site. More power to you…. Thanks for liking “The Christmas Portrait.” My two daughters and I are at a beach in South Carolina celebrating the elder’s 13th. One morning the Cortwrights, or a reasonable facsimile thereof, paraded out onto the beach in their cotton finery and served as the inspiration for the story. Inspiration comes at the oddest times and in the most unusual ways! You’ve got to post something soon! Thanks for the “follow” Coco! Would love to explore your site too. Good day! Hi Coc, I just wanted to let you know that I’ve nominated your for A Very Inspiring Blogger Award (the details are on my blog). I enjoy reading your posts. Cheers! Wow, I so enjoyed reading several of your writings!, And thanks for visiting my site too. Appreciate you! Hello and thank you for following. It’s always an honor to gain another reader and I look forward to reading more about you as well. Thanks for the follow! I admire how much you can say in just a few words. That takes a lot of skill. I like your spirit, and your talent! But I also want to nominate you for the Beautiful Blogger Award. (I know! not yet another one of those things! but I like your blog and want to nominate you.) If you check out the latest post on russell5087 you will see the picture saying “Beautiful Blogger”. The idea here (and I hope it isn’t some stupid scam of some sort), is to pass along the nomination to seven bloggers you like. You post your nominations, thanking the blogger who nominated you by giving their link, and then listing your nominations, then you contact those bloggers (just like I am doing now), and tell them you have nominated them. And tell them how to pass this thing along, as I am doing. (In fact, you might want to just copy what I have written and pass it along to save time.) You also need to copy the ‘logo’ or picture of Beautiful Blogger on your post, like I did. I guess the idea is to make more people aware of your blog and the blogs that you like, and hopefully generate more traffic and more likes. We all like knowing we are being read, right? So, do whatever…I don’t know if anybody ever actually wins this thing or what that means or where this thing began. But so long as nobody asks for money I am fine with it. I like acknowledging blogs I like and I like yours. You deserve some acknowledgement! Hello Coco, you are one of my nominees! Thanks for checking in to sextails! Glad you liked it! Nice blog Coco! Thank you for the like on my blog and for signing up to follow me! I hope to entertain! I read post after post from your blog. I long for something to say. Today I am in a fog. Your words and my mind – they play. I have heard. Again and again, I have heard. wow, a poem of praise. how kind you are friend. what lovely things you have to say. thank you very much. CHEERS to you!!! I am only making your dress. Command my heart with your writings my Queen. Now, I can dare to dream. *Fresh* blog you have here! Hey, thanks for stopping by my blog and liking it, it’s lovely to see a new face! 🙂 Really love the quotes you’ve chosen, and totally on board with the chocolate love! Thank you for finding me, for you have led me to find you. Love your words, your writing, your space. Beautiful. thanks for liking my blog–I will enjoy checking yours out! Thank you for visiting … and liking! I really like your blog and trust me i am not saying it because you like my post. I like it for the amazing and refreshing quotes. They are very lovable and inspirational. Do you wear your hat when you write your blog posts or after or not at all (in which case you don’t usually wear a hat [do you?] and that photo of you wearing a hat is just a coincidence, a day in which by chance you happened to wear a hat and be photographed)? To conclude, do you wear a hat or not, and if you do, in what circumstances? hahaha hahaha, i wore a hat yesterday at the lake. and the day before at the pool, and the day before that at the pool, usually quite often. but usually never when i am writing. 🙂 how are you so funny? i have many photos in that hat 🙂 she’s quite old. I am befuddled by your description of your hat wearing habits. I cannot say whether you wore the same hat at the lake, at the pool, and again at the pool, or if each time you wore a different hat. It might well be that you have many hats, and many occasions to wear your many hats. I tip my hat to you and go to do the dishes. Heya, thanks for liking my stuff and following me. Check out my older poetry, it’s much more inspired than what I’ve been writing lately. Thanks for following my blog! I’m glad you stopped by and enjoyed it! Hi Coco, thanks for visiting my blog and for following. You’re got lots of insightful stuff going on over here. Lovely use of language and your sentiments are very relatable. I’ll be visiting again. LOL…your the first person I’ve found to use that Heinlen quote besides me. Love it and the poetry, keep it up! Thanks for reading one of my blog. Hi Coco ~ Can I reach you by email? Thanks for the follow. You seem like an interesting gal…Cheers. Apparently you’re famous or something. I’ve Googled you and there you were with Richard Branson (that was you wasn’t it?) I’ve had no idea. I don’t have a TV. Keep peace, make love, wear your hat, be happy. And may the ink of your thoughts never dry. haha yes that was/is me. you sneaky sneak. hey, are you on twitter? I’m afraid not, because I don’t have a phone. Don’t worry, I’m not going to stalk you. I only stalk brunettes (unknown ones). Thanks for liking “Tip of the Moon” and following my blog. Look forward to your bog posts as well. make that “blog posts” – I’m in a sling so not typing so well. lol…. Thanks for the like and follow. I love your elegant blog site. Happy organic chocolate eating..
Hello delightful girl! Thanks for following me as I am you. I am a Self-Sovereign Being also.I look forward to reading your post old and new. Hey Coco, thanks so much for reading and following. So far, the few posts I’ve read have me in love with your blog. I can tell we have some things in common when it comes to writing and literature. Hope you have a good day! Coco…love your style and your cadence and your thoughtfulness. Great work! Thanks for visiting my collection of randomness. See you again!. i’m a fan. and you found me first! (how’d THAT happen!) thank you for liking my post today: (http://mollyfielddotcom.wordpress.com/2012/06/21/update-nanowrimo-confession-we-dont-have-a-flobie-and-other-stuff-on-my-mind/) and for FOLLOWING me. i’m gonna have to kick it up a notch i think. i like how you have brief lovely jewels and then that’s it. that’s your post. i need to learn more about all this. i just like to write. thank you again. i love your style and your vibe. i can say something in german but it’s not very nice. my friend taught me it in high school. i’ll write it as long as you know it’s nothing personal: soll ich dier die augen auf kratzen. she said it means “i want to scratch your eyes out.” NICE… anyway, it’s not meant for you, but seeing as how you sprechen sie deutsche (i think that’s right?) i thought i’d take a chance. Thanks for passing by my blog and following it! I love yours, you’re an amazing writer! I’ve really enjoyed your last couple of posts. I’ve told others on my blog to come have a look too. Thanks a lot for obliging me by giving my blog a read. Thank you very much! By the way, you’re a great blogger! Hey Coco J. Love your blog-name! Takes a while for me to get to view other people’s blogs. You obviously like writing. It’s a bit of a life source isn’t it? if you like author quotes, check out my website (you can get there via my Salon welcome page). A non-author quote I love helped me when I trudged at any stage of writing my novel(It helped that I’m over 30). Zen koan: ‘you can do anything if you work hard and don’t die first’… still here! Awwwee thank you very very very much. Very kind of you. I saw u liked the poem Pilgrims….thanks a lot. coming from you such acknowledgement is highly appreciated. god’s blessings. thanks a lot for your acknowledgement of the poem -Pilgrim. coming from you it is highly appreciated. God’s blessings Coco. Thanks for the “Like”. Can I get your opinion? What kind of posts do you want to see on my blog? Thanks. Haha yes! I would personally love it if you would write for my page, I love your writing! I genuinely spent my entire lunch break today at work reading your whole blog. Haha no your writing style is something i’ve genuinely never seen before and its so involving. What you write means that you have to concentrate and it takes me out of the hussle and bustle of stressful life so it relaxes me because i have a stressful job. Hey, I am so glad you “liked” the post on my blog bc it prompted me to look at yours and the quotes you have posted are exactly what I needed to read. I can’t even begin to explain what that just did for my day…thank you. Coco, I am tagging you for the Lucky 7 Meme. If you would like to participate, you can check it out on Friday at: http://talesfromxira.wordpress.com/2012/07/06/the-lucky-7-meme/ Thanks! Hi, thank you for visiting my blog a while back 😀 I love your writing, it is very beautiful. Thanks for following my blog! 🙂 Yours is great! You seem to have a true writing talent, and a knack for finding perfect quotes. I’m here to save the world, but who will save super girl? What if I’m weak and I need you tonight? Hi there.I’m pleased that you liked my poem. Feel free to give any feedback you may have and keep an eye out for more to come. I was very honored by having been given a place in one of your writings. I promised you I would repay the honor in kind. Seen as how there are rather few people that are familiar with this dead language, I’m assuming you are neither, so an English translation will follow below. I chose this particular speech, as it is a magickal language of great beauty. Therefore it perfectly fits the one it is dedicated to, as her loveliness is only surpassed by her writing skills. Thy name doth enthrall the land. Thy splendour covers the land like a garment. ​Thou art magnified in thy magnitude. Surely thy hand will receive supplication, may thy soul be glad! Wow thank you very very much!! Thanks so much for following the Mellifluity Inc. blog. I love your writing style (and the Chuck P quotes 🙂 ). Huge congrats on the various blog award nominations. Can I just say you are by far my favourite quote finder! You have found some brilliant lines 🙂 Now all I need to do is teach myself to come up with some things as prophetic…!! Hi, we really enjoy following your blog and have awarded you the One Lovely Blog Award. If you wish to accept this award follow this link to our blog for the details. http://rezichfamilykitchen.wordpress.com/ We’ll continue to follow and see what you’re up to. Our future is in our hands; don’t let anyone take it from you. That’s a lot of e-mails. I have about the same amount. Can’t get through them all. Hi Coco! Thanks so much for recently following my site. Lately, I’ve been nose to the grind creating a whole new media stream dedicated to cultivating a Process Perspective. It will be a candy shop for creatives, and for those looking to tap into Creative Thinking on a deeper level!! I do hope you will stay tuned for what’s to come! I love your writing… very captivating! There’s something cool about having to scroll so FAR just to say “Thanks for the follow!”. I mean, all that scrolling should say volumes to you such as how happy I am to be followed. Oh, by the way, I think your blog is really interesting. Ms. Ginger. I don’t think I need to say again how much I like your writing, or you for that matter. With that said, when I nominated you for the Versatile Blogger Award, it was the easiest thing I have ever done. I didn’t even have to think about it. Just follow the link to learn more… http://wp.me/p24LWs-6l. Of course, you have probably already acquired this award a million times before, so, just place it with all the rest. Thank you for writing the pieces that you have thus far and I do hope you continue. maybe you know me a little better as Derek Childs? (Shrugs shoulders) Maybe not. Either way, I absolutely love the way you write and I am proud to nominate you for the Inspiring Blogger Award, for you have certainly inspired me with your beauty, your courage, and the glow that makes you the gorgeous literary Goddess that you are. Follow this link oh lovely lady to acquire your award at your convenience. I’m proud to inform you that you’ve been nominated for the “Beautiful Blogger Award”. The rules for the award and the award pic are at http://kipsthoughts.wordpress.com/2012/08/22/beautiful-blogger-award/. Congratulations! You’re quite welcome, Ms Ginger. hi dear, you really write great !!! looking forward for more of your posts . love rv. And your name’s awesome..Coco..I liked it! LOVE your name! I chanced upon your quote at goodreads, I own a print shop over on Etsy and I was just so taken by the “It’s A Finger Snapping Kind Of Day” quote that I had to make a print out of it! I hope you like and enjoy it! I’d be delighted to send you one for yourself, let me know! WOW WOW WOW I ABSOLUTELY ABSOLUTELY LOVE IT. THANK YOU SOOOOOO MUCH, you are a daring. LOOOOOVE IT. Love your stuff here Coco. i like the twist! good blog! Hi, Coco. It’s been a long time in coming, but I wanted to take this opportunity to thank you for following my blog! Is there chocolate to this madness, or might that be madness for some chocolate? Either way, I’m feeling the need for some RITTER Sport, seeing as I’m now in Germany for a couple of months. Take care! I love your vibe! I’m nominating you for the One Lovely Blogger Award. ■Thank the blogger who nominated you. ■Tell 7 things about yourself. ■Post the One Lovely Blogger Award picture in your post. ■Nominate 15 other blogs for this award and notify them of their nomination. I look forward to learning more about. I see this quote of a generation that makes me uncomfortable and sad. Is this the generation that brought us Obama for a second term. A generation of tearing down, rather than builders. Oh what sadness to a country that was once great. Please don’t say that. Obama, and the way our government has evolved is everything I stand against. You Ms. Ginger are in a very small percentage of our younger generation by the stats indicated. I will continue to speak against this horror who has become the President of our country, in now a second term. Have a great day and week. Thank you for your interests in my site and ready replies of encouragement. glad to have finally found another blog fed up with the 9-5 save-to-buy mindlessness. Perhaps I haven’t looked around enough but it seems that everyone is too content, too blinded by their easy-access entertainment and indolent comforts — so it’s a relief knowing others too feel some discontent and the innate need to search. I’ll be around, see you! I’ve nominated your blog for the Reality Blog Award. I love your words! Thank you for stopping by and following. As you can probably tell, I’m a newbie. I love your blog; it’s gorgeous. Hope to be able to spend some time hanging out here. Your authenticity inspires me! Thanks for being so imperfectly perfectly yourself, I hope one day to be as free and confident as you. You’re a jewel, thank you. We are what we see in others…. Love your website, what a great concept. Well done! CHEERS! If you could see my bigO smile right now :-), thank you so much for taking the time to check it out. Nice name. Let me guess, with humor in mind: the J stands for Jasmine. Good to hear from you again, Coco -thanks for coming by and for your great writing. Cheers to a very intriguing blog… with a profile like that you catch lots of attention. I am really loving your writing voice so far and I have only seen a handful of posts. I look forward to reading more! Anyone who sees chocolate as healthy and dances and has a name like Coco – like Ms. Chanel – well, this person is someone I would like to read!! Thanks for the like and follow. You know, I needed to hear this. Sometimes I’m afraid of excellence because I know I will get negative feedback – your reminder to embrace who we know we can be is so inspiring. Thank you! Wait…would you rather hear “I hate you – in a good way”? haha. It’s great to find a fellow writer. Hahahaha that is too funny, hahaha I see you read a post of mine lol. This is great to hear, I have been the exact same… change change change 😉 CHEERS new friend! Hi! I was going through some of your recent posts, and they are definitely amazing. I can not only admire your writing, but I can also relate to some extent to a couple of your recent posts. I look forward reading some of your future posts. EEEK, that is one of my FAVORITE quotes and I had forgotten about it. I’m posting that on my fb page. CHEERS FRIEND! Thank you for following. And if it makes you feel any better I disliked you for your excellence, but then fell in love when I saw that you eat healthy chocolate too. I hope you enjoy my work, when it comes. I have a plethora of stories to share and, judging by your extreme levels of pure awesomeness, I think you may like them. Have a good day! Bye for now! Thank you thank you, that would be fun, what did you have in mind? Greetings! I write to nominate you for a Versatile Blogger Award. To be honest, you don’t win a prize or medal or any such thing. Rather, this is a simple commendation from one blogger to others regarding the value of your work, and it has the potential of expanding your audience (and also, I surmise, that of others, to include the founders of VBA). To accept, use this link. Once there, check the VBA rules to decide whether you want to accept. what a great quote! I must repost this EVERYWHERE and adapt it in my own life. I have a similar aim and you conceptualized it perfectly! Spent some time reading your blog – love your writing! Raw and honest – something anyone who is honest with themselves will recognize deep within. Keep it coming! Thank you for liking one of my posts. Your writing is excellent. Your honesty, magnificent!! Brilliance is more than a reflection, sometimes it burns with a light of its own. So, brilliant blog, Coco J., and thank you for dabbling your toes in my little pond (the fish will nibble you, but they mean well).